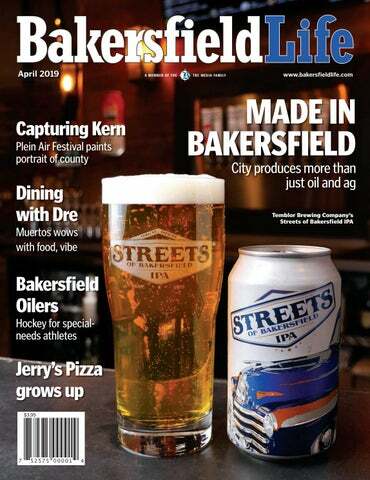 For the 20 Under 40 program, Bakersfield Life Magazine will begin accepting nominations from Monday, March 11, 2019, to Sunday, April 14, 2019 at 11:59 p.m.
Submissions will be only accepted by completing the online Nomination Form, which will go live on Bakersfield.com during the nomination period only. Game changer in his or her professional career or school? Then, he or she might be eligible to be recognized in Bakersfield Life Magazine’s 20 Under 40 reader-submitted competition! For the seventh year, Bakersfield Life will celebrate the excellence of 20 local individuals between the ages of 18 and 40 who are achieving greatness in their personal life, career, community and/or academics. We are asking our readers to nominate individuals, and Bakersfield Life will select 20 individuals under the age of 40 who represent the "best of the best" in Bakersfield. You can nominate anyone between the ages of 18 and 40 who is trailblazer in his or her profession or schooling, gives back to our community in special ways, exhibits leadership qualities and serves as a role model for our town. Nominees must currently live in Bakersfield. You can nominate an employee of your firm, a colleague, relative or friend—you can even nominate yourself (the nominator isn't made public). An independent group selected by Bakersfield Life evaluate the nominees based on the candidate's professional or academic experience, leadership skills and community service. They should exhibit qualities expressed in the 20 Under 40 criteria: up-and-coming star in profession or academics, leadership and community service champion. There is no limit to the number of entries each firm or person can submit and there is no entry fee. The number of nominations a person receives has no impact on the selection process – all it takes is one nomination to be considered. View this PDF for a complete list of winners from previous years.